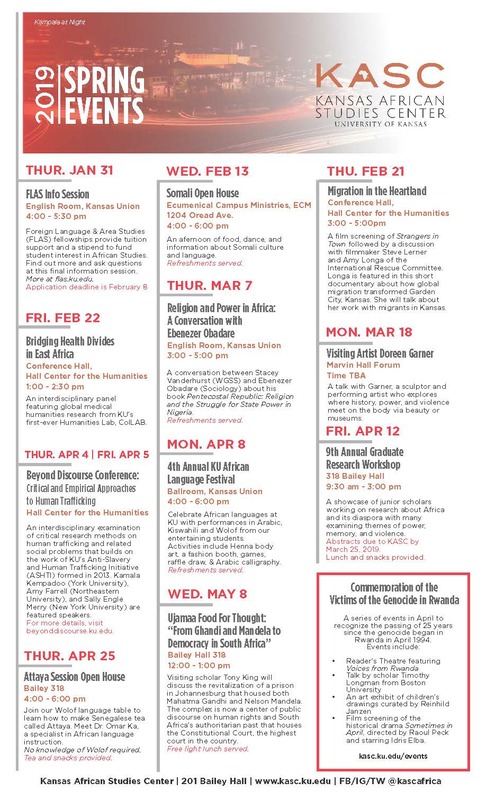 LAWRENCE — The Kansas African Studies Center will sponsor a panel discussion on the Ebola outbreak featuring the perspectives of leading social scientists from the University of Kansas. The Ebola Outbreak in Wider Perspective: Social Scientists Discuss Health, the State and Society in Africa will be 3:30-5 p.m. Wednesday, Nov. 12, in the Malott Room of the Kansas Union. The event is open to the public. Ebenezer Obadare, associate professor of sociology, will focus on what epidemics reflect about the societies in which they occur. Obadare researches the civil society-state interface with particular interest in informal strategies of resistance under changing dynamics of rule. He has also published extensively on religion and politics, civic engagement, and civic service and citizenship in Nigerian and other African contexts. Glenn Adams, associate professor of psychology, will discuss reactions to Ebola in West African settings and reflect on the outbreak as a manifestation of geopolitical-economic processes. His research focuses on the intersection of culture and psychology, and he publishes on sociocultural approaches to racism, oppression and liberation. Adams was also a Peace Corps volunteer in Sierra Leone. Sandra Gray, associate professor of anthropology, will examine the biology, transmission and virulence of Ebola and analyze the failure of the international public health structure to contain the epidemic. Her current research focus is on health inequality and the effect of armed conflict and structural violence on maternal and child well-being in northeast Uganda. The panel is co-sponsored by the Kansas African Studies Center, the Center for Global and International Studies, and the departments of African and African-American Studies, Anthropology, Psychology and Sociology.